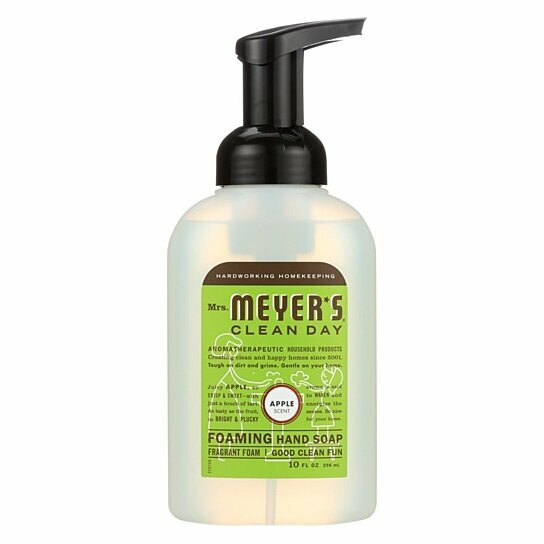 Mrs.Meyer's clean day foaming hand soap provides a refreshing scent that is all-natural and free of chemicals, adding to your healthy home.Each 10 fl.Oz.Bottle features a fresh apple scent that is perfect for the spring or summer season.Plant-derived ingredients include orange peel oil, black currant oil and olive fruit oil.Our product effectively cleans hands without the use of dangerous chemicals.Use mrs.Meyer's for uncomplicated products for a clean and happy home. Returns not accepted. Products in this category cannot be returned.